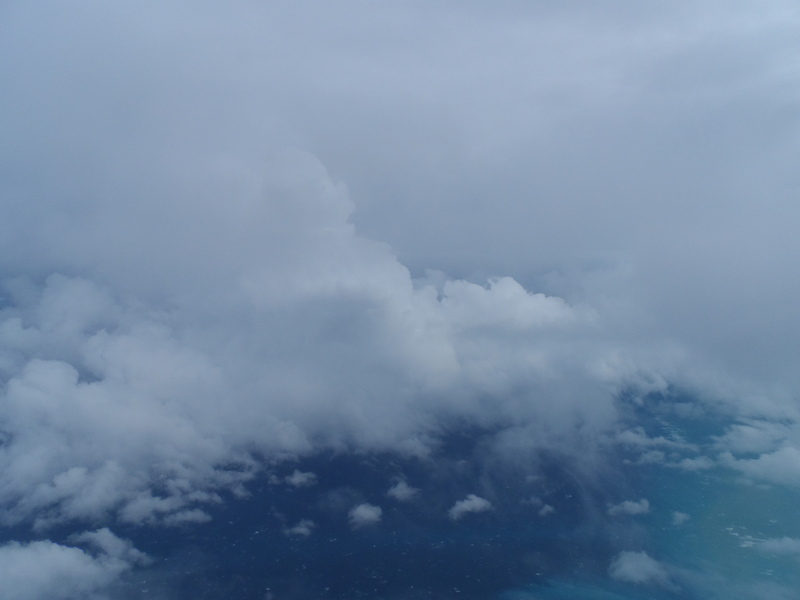 Recently, I was flying home to Florida as a tropical storm was approaching the coast. The turbulence we felt in the aircraft during the descent made me more alert and mindful of the “now.” I was calm and my meditative mind kicked in like second nature. The cloud cover, though dense and heavy with moisture let the pilot, aircraft, and me know that our passage was going to be as should be. An article I read by Eknath Easwaran, reminded me that, …”Yoga scriptures tell us we suffer because we are divided against ourselves.” We are often struggle with the physical world and what is beyond–as though they are separate entities. We are all interconnected via nature and consciousness. The conflict between our conscious self-centered ego and our unconscious higher subtle Self poses conflict that essentially, stagnates us. Meditation can heal this split. Put simply, when we look to meditation, keeping the mind one-pointed, even keeled, taking the opportunity to withdraw the senses away from Self, you can respond more openly to the needs of others. Looking out the window and flying through pregnant storm clouds, my attention began wandering. I had to sit back, loosen my jaw, engage my core and prana, begin to look inward–and, release control. Aware, but calling on my deeper consciousness to meditate during the physical storm and my own personal conflict. Yes, the plane landed safely. The rain was coming with fury in nearly a horizontal direction. And, I know that the skill of the pilot and staff were essential to our safe arrival. I still dedicated my meditation to the good for all beings.